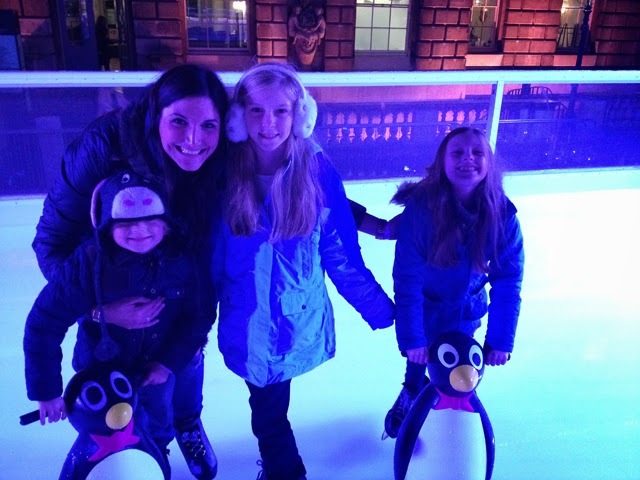 Last Friday I took great pleasure in inviting friends and family to be amongst the first to skate at Somerset House. Coach is the sponsor this year, of the amazing and iconic space, and they asked Fashion Foie Gras if we would like to enjoy a very special evening filled with skating, hot chocolate, delicious mince pies and much much more. Rather catastrophically, the weather had other plans. The rain began in London at around 2pm. When I say rain, I mean buckets of rain. The sky opened up, thunder started to roll and we were all starting to think this was a sign that skating just wasn't in the cards. We arrived at 5:15pm on the ice and I prepared myself for an empty rink. Everyone knows rain and fashion crowds do not mix. Then came 5:15. Within a matter of minutes I found myself surrounded by the best of the best of bloggers, friends and family, who had come some distance to attend the event. The rain continued to beat down for about another 30 minutes. 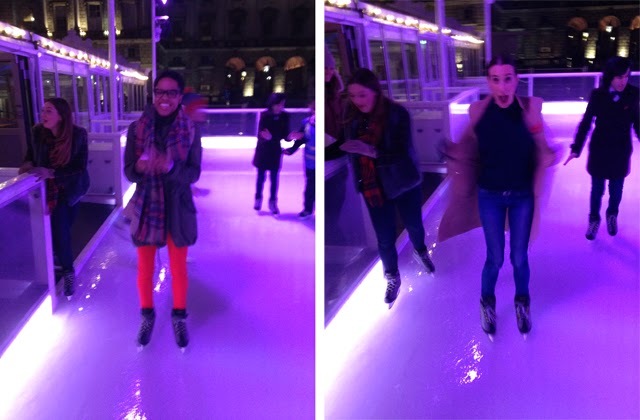 Then, like some sort of Christmas miracle, there was a bit of a clearing and we all ran to the ice, skates tied tight. Seeing the friends I have made since starting this crazy journey, out on the ice, laughing and enjoying the holiday merriment, made this one of the most magical nights yet in the history of FFG. I cannot thank everyone enough for coming out and helping to make this an evening to remember. 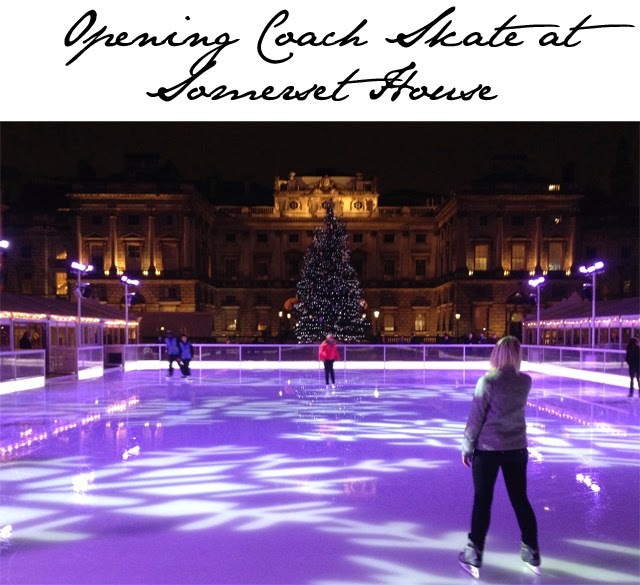 For those of you that are able to come into Somerset House in London over the holidays, please do come and give this rink a go. 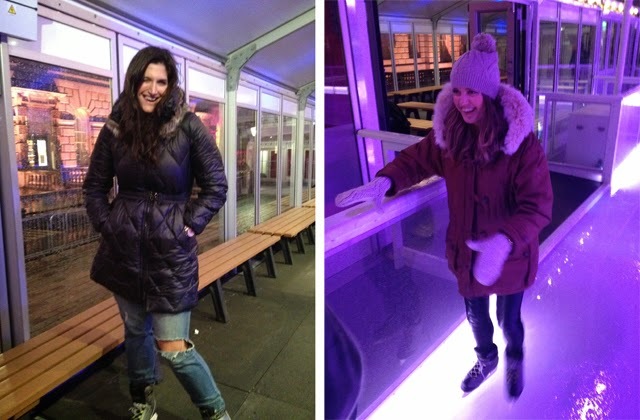 I can't remember a time when I laughed harder at watching friends and family navigate the ice for the first time. 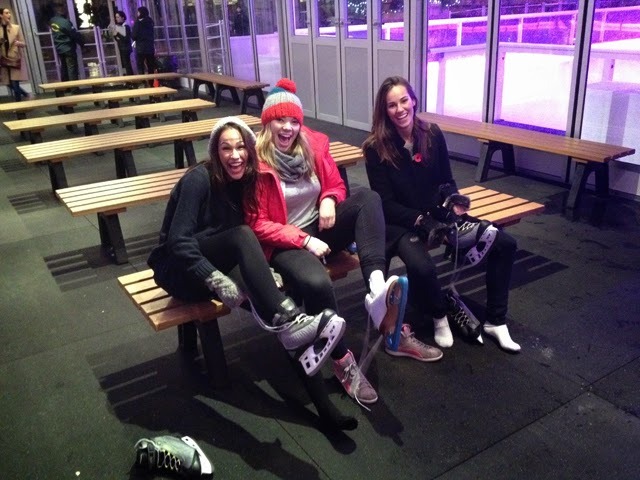 Whether you are a pro figure skater or a ice-rink virgin, put this experience at the top of your list for the holidays. Thank you, Coach, for a phenomenal evening. 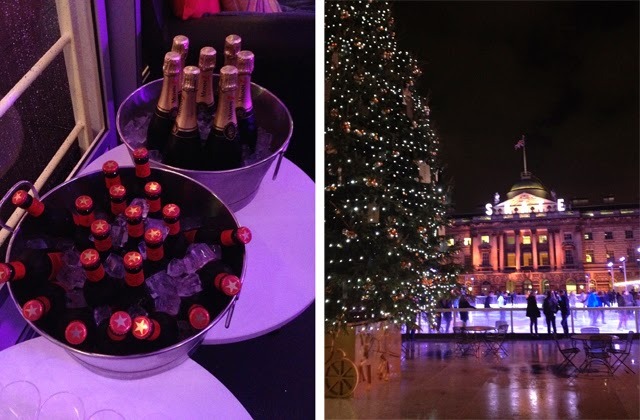 Many mince pies and too many glasses of mulled wine later, I'm still smiling at the memories!